HDS Carbon units feature ultra-clear SolarMAX™ HD multi-touch displays with high-bright LED back lighting and advanced anti-reflective coatings to create wider viewing angles suitable for any lighting condition. Loaded with a dual-core, high-performance processor, HDS Carbon delivers faster redraw speeds and quicker response times to easily power CHIRP sonar, Dual Network Sounder, StructureScan® 3D, StructureMap™ and future high-powered fishfinding upgrades. 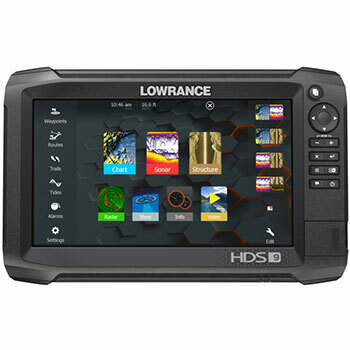 HDS Carbon features integrated wireless and Bluetooth® connectivity that supports the most advanced marine technology, including a Network Analyzer that notifies users when new software is available, and a Service Assistant that transmits a detailed network report directly to technical support for custom hands-on assistance. HDS Carbon units feature ultra-clear SolarMAX™ HD multi-touch displays with high-bright LED back lighting and advanced anti-reflective coatings to create wider viewing angles suitable for any lighting condition. Loaded with a dual-core, high-performance processor, HDS Carbon delivers faster redraw speeds and quicker response times to easily power CHIRP sonar, Dual Network Sounder, StructureScan® 3D, StructureMap™ and future high-powered fishfinding upgrades. 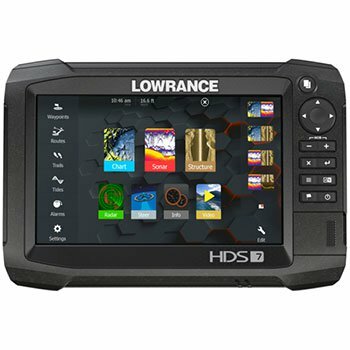 HDS Carbon features integrated wireless and Bluetooth® connectivity that supports the most advanced marine technology, including a Network Analyzer that notifies users when new software is available, and a Service Assistant that transmits a detailed network report directly to technical support for custom hands-on assistance. Built-in, award-winning Broadband Sounder™ – Display and mark game fish, bait fish and structure at higher speeds and at greater depths - from one to more than 3,000*feet. 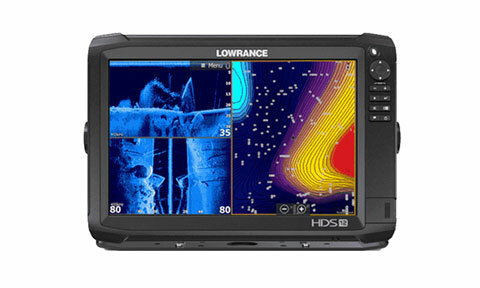 HDS Carbon from Lowrance Are you ready? a new 7-inch ultra-clear SolarMAX™ HD multi-touch display using high-bright LED backlighting and advanced anti-reflective coatings to create wider viewing angles in any lighting condition. 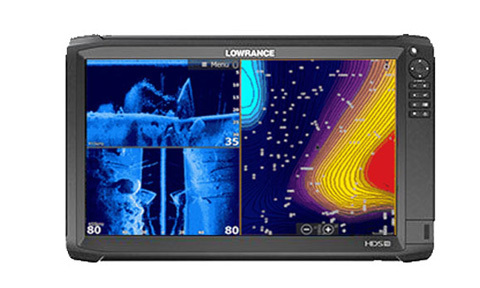 Only in HDS Carbon will you find superior color accuracy and a boosted high-resolution viewing panels specifically designed to truly maximize today’s leading sonar. Loaded with dual core high performance processor, HDS Carbon delivers faster redraw speeds and quicker response times for dual-channel CHIRP sonar, dual network sounder views, StructureScan 3D® and StructureMap™ plus split-screen views showing all this and mapping at the same time; it has enough reserve brute strength to drive future high powered fishfinding upgrades. HDS Carbon brings modern “smartphone-like” comfort with integrated wireless and Bluetooth® connectivity that supports the most advanced marine technology including a Network Analyzer that notifies user when a new software is available, a system Service Assistant that allows user to transmit a detailed report of their electronics network direct to technical advisors for custom hands-on assistance. HDS Carbon is the most versatile combo available today, it can view and control Mercury® VesselView® Link, be paired with Power-Pole® shallow-water anchors, and control SmartSteer™ trolling motor/outboard motors. An expansive list of safety and entertainment plug-ins are available to complete your network. 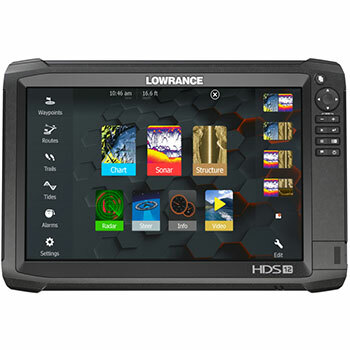 You can navigate easily with HDS Carbon behind proven Lowrance navigation, a 10 Hz internal GPS antenna and a multitude of mapping options accessible from the unit’s dual microSD card slots or via wireless download from GoFree® Shop. a new 9-inch ultra-clear SolarMAX™ HD multi-touch display using high-bright LED backlighting and advanced anti-reflective coatings to create wider viewing angles in any lighting condition. 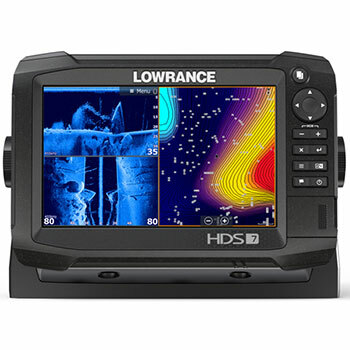 Only in HDS Carbon will you find superior color accuracy and a boosted high-resolution viewing panels specifically designed to truly maximize today’s leading sonar. Loaded with dual core high performance processor, HDS Carbon delivers faster redraw speeds and quicker response times for dual-channel CHIRP sonar, dual network sounder views, StructureScan 3D® and StructureMap™ plus split-screen views showing all this and mapping at the same time; it has enough reserve brute strength to drive future high powered fishfinding upgrades. HDS Carbon brings modern “smartphone-like” comfort with integrated wireless and Bluetooth® connectivity that supports the most advanced marine technology including a Network Analyzer that notifies user when a new software is available, a system Service Assistant that allows user to transmit a detailed report of their electronics network direct to technical advisors for custom hands-on assistance. HDS Carbon is the most versatile combo available today, it can view and control Mercury® VesselView® Link, be paired with Power-Pole® shallow-water anchors, and control SmartSteer™ trolling motor/outboard motors. An expansive list of safety and entertainment plug-ins are available to complete your network. 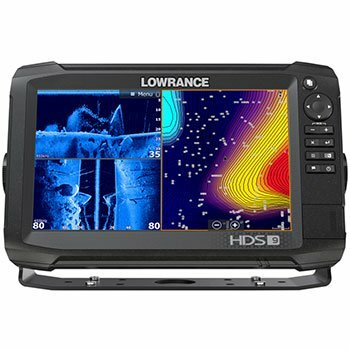 You can navigate easily with HDS Carbon behind proven Lowrance navigation, a 10 Hz internal GPS antenna and a multitude of mapping options accessible from the unit’s dual microSD card slots or via wireless download from GoFree® Shop. a new 12-inch ultra-clear SolarMAX™ HD multi-touch display using high-bright LED backlighting and advanced anti-reflective coatings to create wider viewing angles in any lighting condition. 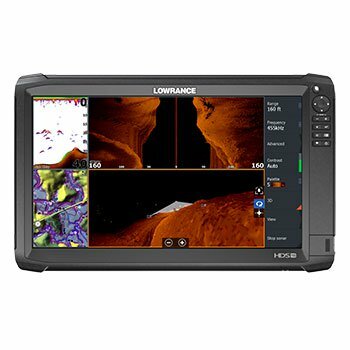 Only in HDS Carbon will you find superior color accuracy and a boosted high-resolution viewing panels specifically designed to truly maximize today’s leading sonar. Loaded with dual core high performance processor, HDS Carbon delivers faster redraw speeds and quicker response times for dual-channel CHIRP sonar, dual network sounder views, StructureScan 3D® and StructureMap™ plus split-screen views showing all this and mapping at the same time; it has enough reserve brute strength to drive future high powered fishfinding upgrades. HDS Carbon brings modern “smartphone-like” comfort with integrated wireless and Bluetooth® connectivity that supports the most advanced marine technology including a Network Analyzer that notifies user when a new software is available, a system Service Assistant that allows user to transmit a detailed report of their electronics network direct to technical advisors for custom hands-on assistance. HDS Carbon is the most versatile combo available today, it can view and control Mercury® VesselView® Link, be paired with Power-Pole® shallow-water anchors, and control SmartSteer™ trolling motor/outboard motors. An expansive list of safety and entertainment plug-ins are available to complete your network. 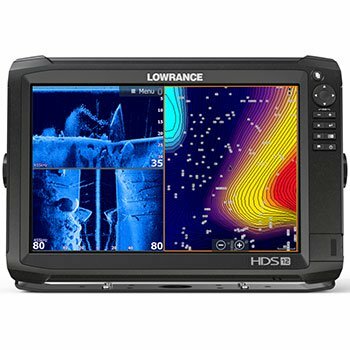 You can navigate easily with HDS Carbon behind proven Lowrance navigation, a 10 Hz internal GPS antenna and a multitude of mapping options accessible from the unit’s dual microSD card slots or via wireless download from GoFree® Shop. The biggest display ever produced, the HDS Carbon™ 16 features an enormous, 16-inch ultra-clear SolarMAX™ HD multi-touch display – the equivalent of four 7-inch screens. SolarMAX HD screens use high-bright LED backlighting and advanced anti-reflective coatings to create wider viewing angles in any lighting condition and are viewable through polarized sunglasses. 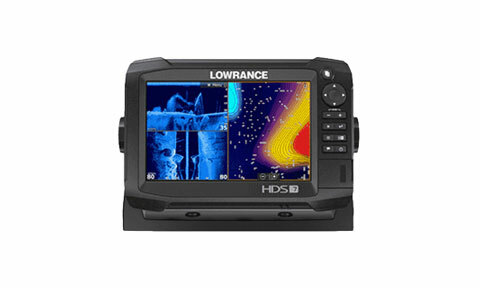 Only in HDS Carbon will you find superior color accuracy and a boosted high-resolution viewing panels specifically designed to truly maximize today’s leading sonar. 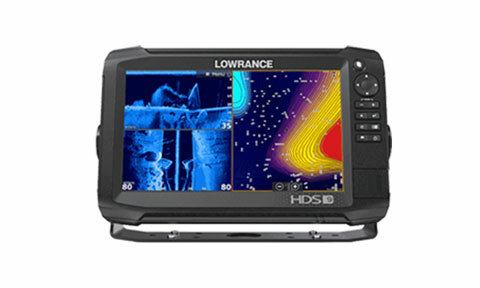 Loaded with dual core high performance processor, HDS Carbon delivers faster redraw speeds and quicker response times for CHIRP sonar, Live Network Sonar, StructureScan 3D® and StructureMap™ plus split-screen views showing all this and mapping at the same time; it has enough reserve brute strength to drive future high powered fishfinding upgrades. HDS Carbon brings modern “smartphone-like” comfort with integrated wireless and Bluetooth® connectivity that supports the most advanced marine technology including a Network Analyzer that notifies user when a new software is available, a system Service Assistant that allows user to transmit a detailed report of their electronics network direct to technical advisors for custom hands-on assistance. 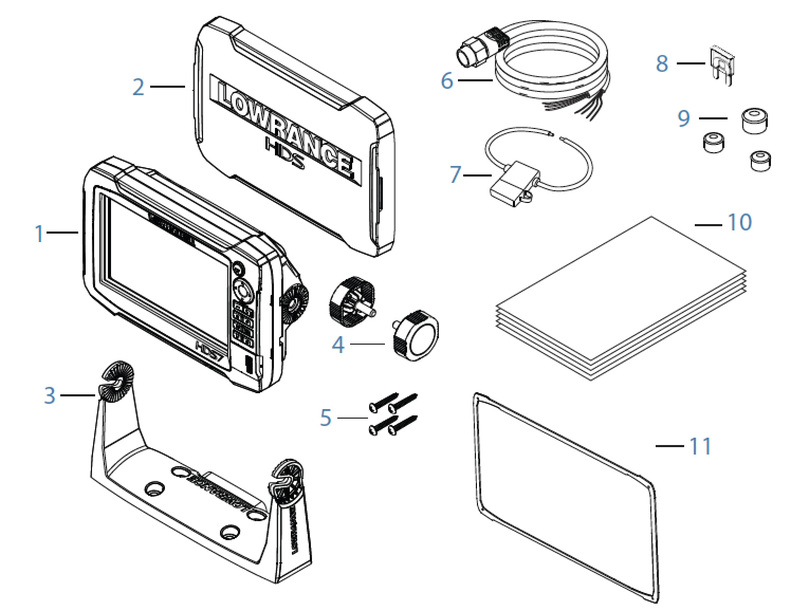 The most versatile combo available today, HDS Carbon can view and control Mercury® VesselView® Link, be paired with Power-Pole® shallow-water anchors, and control SmartSteer™ trolling motor/outboard motors. An expansive list of safety and entertainment plug-ins are available to complete your network. 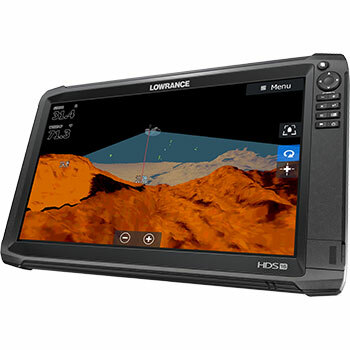 You can navigate easily with HDS Carbon behind proven Lowrance expertise, a 10 Hz internal GPS antenna, built-in C-MAP, and a multitude of mapping options. Display Size 9in (228mm) Diag. Display Size 12.1in (305Mm) Diag. Display Size 15.6in (396mm) Diag.